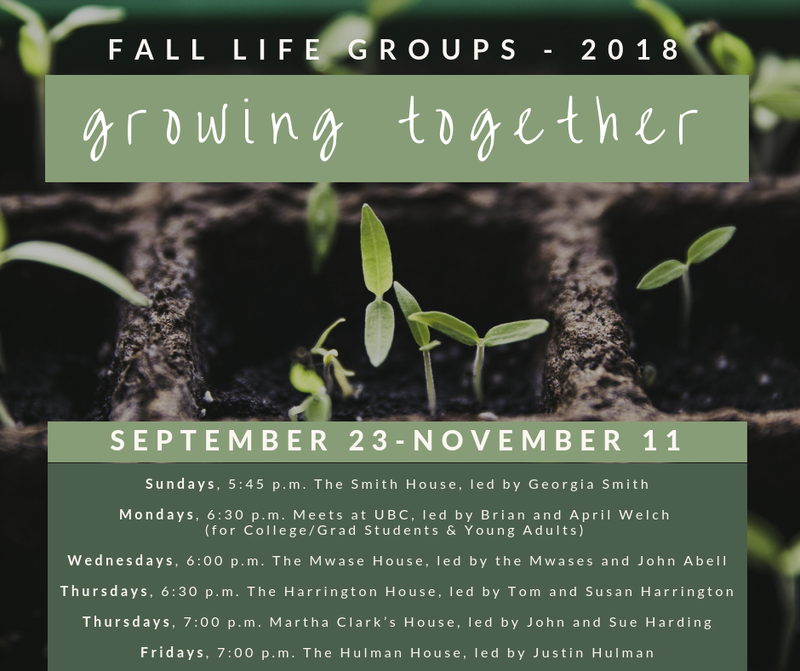 LIFE (Living in Faith Everyday) groups are sermon-based small groups that foster fellowship and spiritual growth. The week’s study will be distributed each Sunday, or your leader can send you a copy. If you miss a sermon, you can always listen online. Sign-ups will begin on September 9th, so prayerfully consider joining us this fall as we grow together!